Want to smell rugged and outdoorsy? 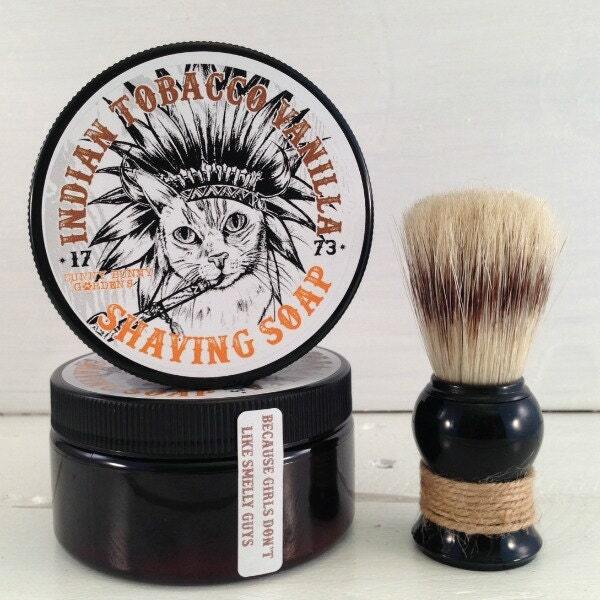 Then you will love the masculine scent of our Indian Tobacco & Vanilla shaving soap. 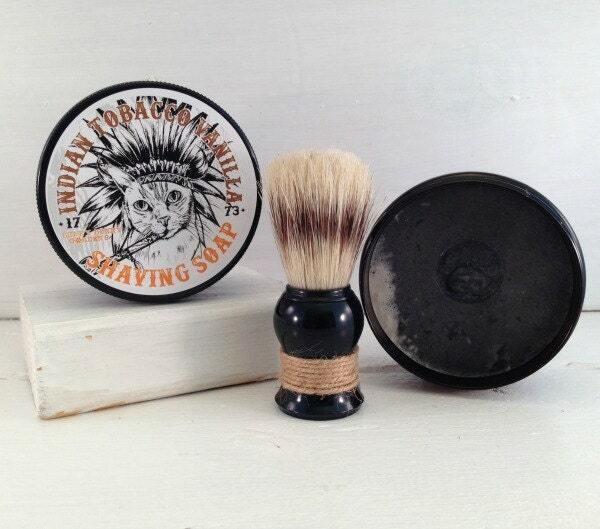 It is the perfect addition to a mans shaving soap. With notes of vanilla, bay leaf and fir needle mingle with cedarwood and crisp bergamot, reveals a warm tobacco vanilla scent. The fragrance has a fresh, clean aroma with well-balanced natural notes. 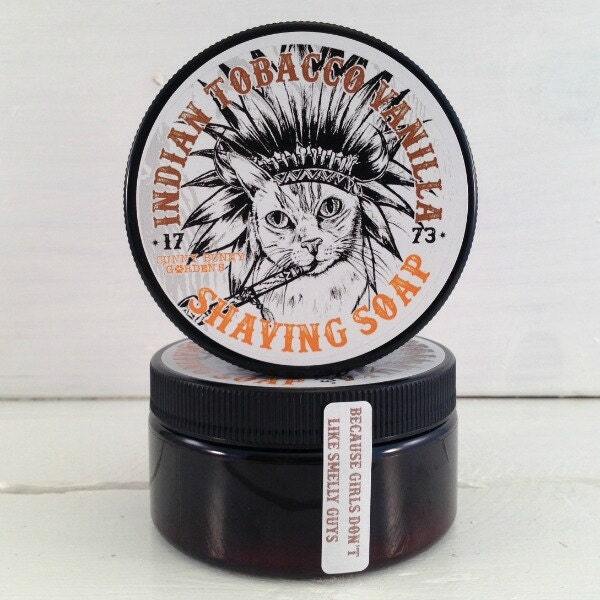 Our Indian Tobacco & Vanilla shaving soap is made with olive oil and Shea butter for a rich and creamy lather. Also included is bentonite clay for a slick gliding surface for your razor. Don't worry, Sunny Bunny didn't take up smoking, it's just a prop! My son loves cats so this gift was perfect. Great smell, unique. Funny pictures on all packaging makes it more fun. Reasonably fast shipping. But my favorite thing is that this seller supports animal charities! Double bonus!!!! My husband absolutely loves this shave soap! The scent is amazing. Smells fantastic and my husband loves to shave with it!